A hawkish silhouette sits boldly above the spoofy text ABSOLUT BIRDER. Crisp, clean and refreshing design for serious birders, bird watchers, twitchers and bird lovers. 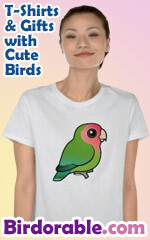 A great gift for birdwatchers!